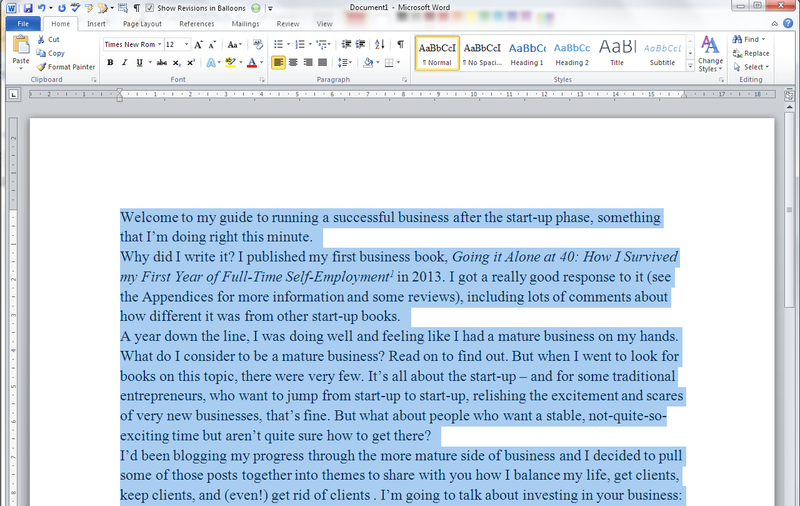 How do I change from having a gap between paragraphs to indenting them? 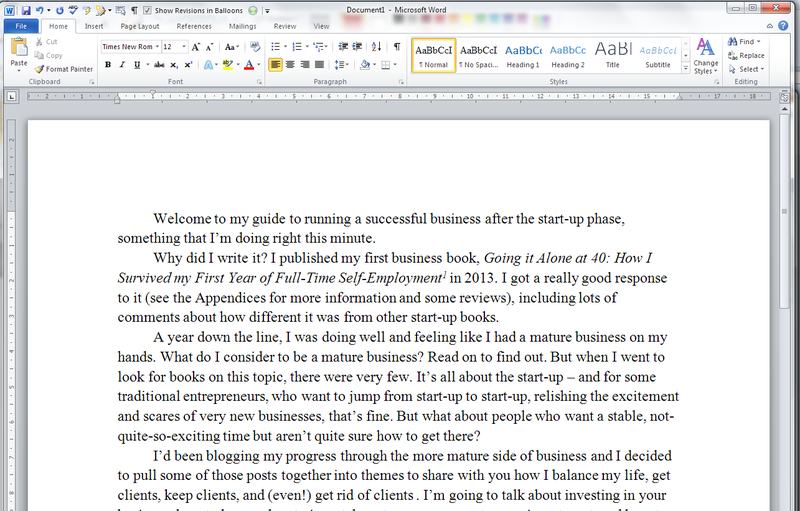 I’ve written this post because one of my clients just asked me how to do exactly this. She had a document where the paragraphs had an automatic line space between them, and no indent (because I’d produced the document and that’s how I like to lay out paragraphs), and she wanted to change it to have no line space between paragraphs, and the first line of the paragraph indented. This article draws on two that I’ve already published, so for more detail, you might want to look at my posts on The Line Space Button and Indents and Margins. But what you’ll find here is a quick guide to changing your paragraph format from spaces between paragraphs to indented paragraphs (and vice versa). 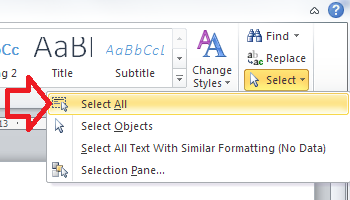 Note that although they all look a little different, this works for Word 2007, Word 2010 and Word 2013 for PC. There are many reasons to remove automatic spacing between paragraphs. 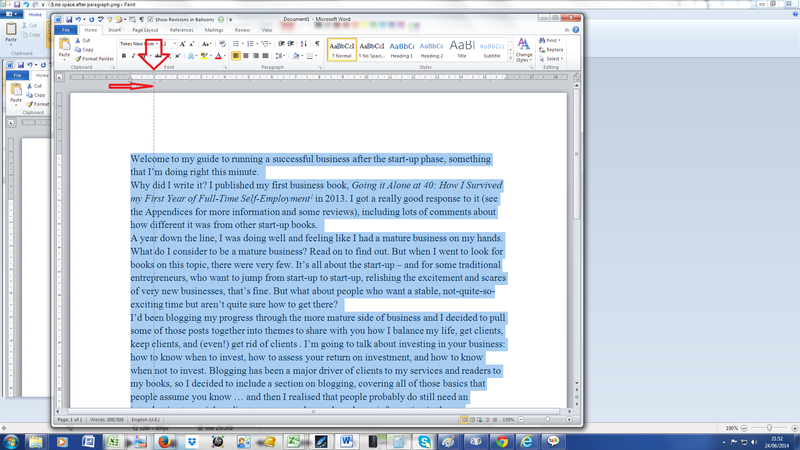 To mention a rather obscure reason, I produce transcriptions to accompany a client’s YouTube videos. The formatting for these requires that a manual line space is added between paragraphs, but my version of Word adds these automatic spaces as a default, so I have to take them out. If you have automatic spaces between paragraphs, one of the two bottom options will read Remove Space Before/After Paragraph. In this case it’s after. 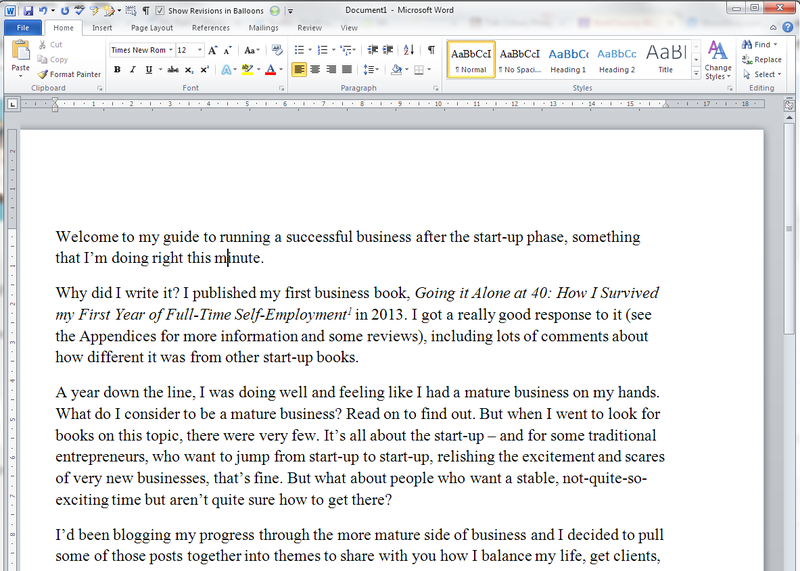 Click on that option (and it will change to Add Space After Paragraph). Keeping the text highlighted (or re-selecting All if you’ve accidentally clicked and lost the selection), move below the Ribbon to look at the rulers in your top margin. This will give you indented paragraphs with no line spaces between them! Thanks – this is so useful. I always check out your handy Word Tips when I have a problem. Thank you so much – that’s lovely to know!